Check Out The World's First Liquid Cooled Gaming Laptop! But let’s begin with how it works and overall idea of it. 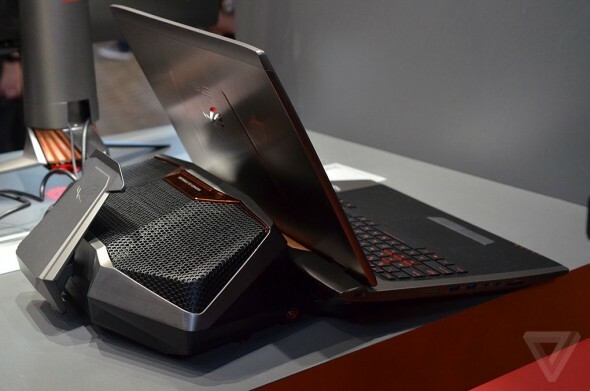 What Asus have done is instead of putting the entire cooling system inside of the laptop making it extremely thick, the ROG GX700 comes with a dock called a hydro overclocking system that plugs into and works in tandem with the laptop giving it the extra power. Furthermore when fully connected to the hydro overclocking dock, the system’s extra heat dissipation allows you to overclock the GX700’s components and reach all new levels of performance not yet seen in even the most powerful laptops. 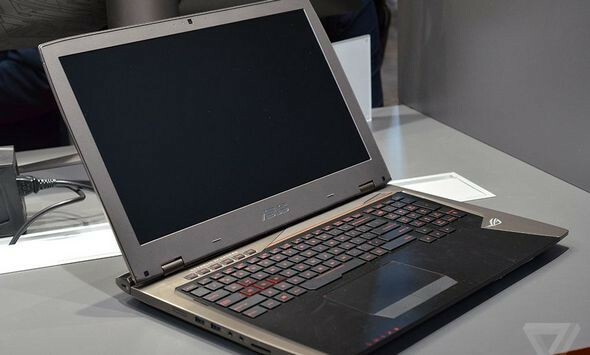 In terms of spec the Asus ROG GX700 has a 17-inch 4K display and comes packing an Intel Core i7-6820HK processor, and most notably a desktop-grade Nvidia GTX 980 graphics processor, which is pretty impressive. Going back to the liquid cooling Asus were able to do it by splitting the liquid cooling system in half, instead of fitting all the components inside of the laptop the GX700 only has a few extra components built into it, including water-channels and water for the coolant to pass through. The majority of the liquid cooling system’s components such as the pump, radiators and 90mm fans are all found inside the hydro overclocking system. More interestingly when you attach the GX700 to the dock the laptop sits on a few metal posts which position the laptop vertically and horizontally. Furthermore when you push down the massive metal arm to extend the connecting elements, it creates a water-tight seal replete with two hooks that firmly attach the cooling base to the laptop ready to give it that extra power. However currently we don’t know the price and full details of the GX700, so for now we can only just enjoy the wild view. But what I would say is you’re never done with tinkering with liquid cooling and you can imagine Asus aren’t done refining there systems for laptops, so expect some innovative laptops over the next few years from them. Make sure you get the best deal on a gaming laptop and head over to Save on Laptops who have a wide range of laptop brands at competitive prices, perfect if you’re searching for gaming laptop on a budget.